Sometimes, you have to look back in time to be innovative. The passing of time involves change and evolution, but our traditions guide us to the essence of the wines we have been making for five generations. Petra de Valpiedra is our special tribute to the old Rioja wines made from Garnacha, the most common grape variety in the old days. Our tribute to tradition is specially dedicated to Grandma Petra, who passed on to our parents and then to us, her grandchildren, the values and principles that still guide us. Our present is imbued with the teachings of a traditional wine-growing region such as Rioja. Garnacha is no longer common these days, but long ago it was the queen of Rioja vineyards. In the twentieth century, other grape varieties like Tempranillo, which is easier to care for and has higher yields, have taken Garnacha’s place. Garnacha was one of the keys to the unique flavour of Rioja wines. At Finca Valpiedra, we want to recover this grape variety and ensure its continuing relevance. So, to fulfil our wish, we have used the grafting-on technique to insert ancient buds in the old vines in the experimental vineyard of Finca Valpiedra. The outcome is a complex wine on the nose and in the mouth, a wine that exudes the full flavours of the perfectly genuine Rioja. 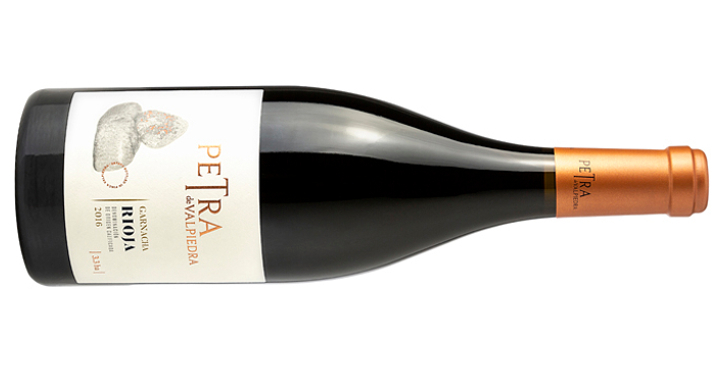 Petra de Valpiedra oozes a unique combination of inviting fruity aromas and subtle notes of oak, toffee and vanilla. Our wine is marked by a long, intense finish and a fresh attack as soon as it greets your palate. We are sure you are going to love it! Old wine-making traditions are at the core of the Martínez Bujanda family values. Our family has been making wines that are faithful to the terroir for 130 years now. Faithful like Petra de Valpiedra, our warm tribute to the bygone days that are the source of inspiration for our wines of the future.